What is the difference between Pinot Grigio and Pinot Gris? I hear this a lot. To most people, Pinot Gris is a mispronunciation of their favorite white wine, while to others Pinot Grigio refers to a simple wine from Italy. Both would be wrong, so this week, we’ll take a look at one of the fastest growing (in popularity) white wines: Pinot Gris. Because of the two names, Pinot Gris has a bit of an identity crisis, and that is not the only thing that confuses people. What may come as a surprise to most wine drinkers is that Pinot Gris doesn’t come from a white grape. To look at it on the vine, you would think it should make red wine. In one of my earlier blogs, I had suggested that this grape be included in the list of Noble Grapes. This is due to its heritage, and its ability to make a variety of styles…not to mention that it can be grown in a number of regions. 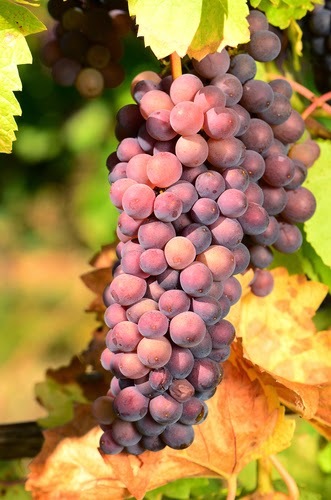 Pinot Gris is thought to be a mutant clone of the Pinot Noir variety. It has a long history in eastern France, and has traveled throughout Europe before settling into the current growing regions. The word “Pinot”, which comes from the French word meaning "pine cone". “Gris” means gray in French, and comes from the grayish-blue berries that grow on the vine (but the grapes can also have a brownish pink color). Recent DNA research has shown that Pinot Gris has a similar DNA profile to Pinot noir and that the color difference is derived from a genetic mutation. The leaves and the vines of both grapes are so similar that the coloration is the only aspect that differentiates the two. 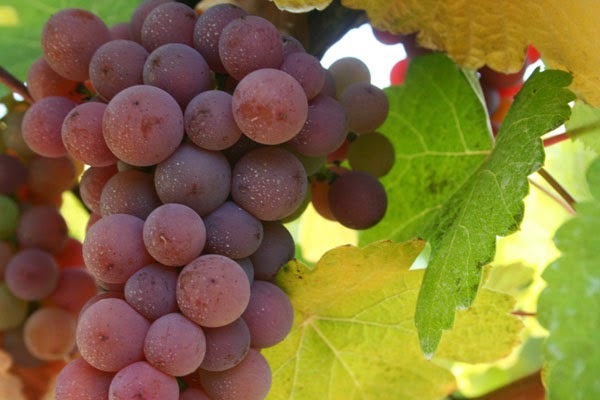 Given the close relationship between Pinot Gris and Pinot Noir, it is not surprising that the two varieties act in similar ways in the vineyard. The gray version prefers reasonably fertile, mineral-rich soils with good depth and a cooler, temperate climate. In warmer regions, Pinot Gris can produce a flabby, oily texture in the mouth from low acidity combined with high alcohol. Pinot Gris matures relatively early with high sugar levels. This can lead to either a sweeter wine, or, if fermented to dryness, a high alcohol wine. Pinot Gris has been known since the Middle Ages and is thought to have originated in the Burgundy region. At that time, it could be found, interplanted with Pinot Noir, and was often blended with the red wine to soften it. It spread from Burgundy, along with Pinot noir, by the Cistercian Monks, who planted vines in Hungary. Later, it found its way to Germany, where it was known as Ruländer (or Grauburgunder). But the greatest success for Pinot Gris may be in Alsace, France, and in Italy, where it is known as Pinot Grigio. Italy takes the prize for having the most extensive plantings of the grape. Italy‘s Pinot Grigio is a fixture in the northeast of the country with good, and occasionally exceptional wines, produced in Friuli-Venezia Giulia and Trentino. The Veneto and the Alto Adige are also widely planted to Pinot Grigio, and it is in these regions that great quantities of easy-drinking, inexpensive wine are produced. 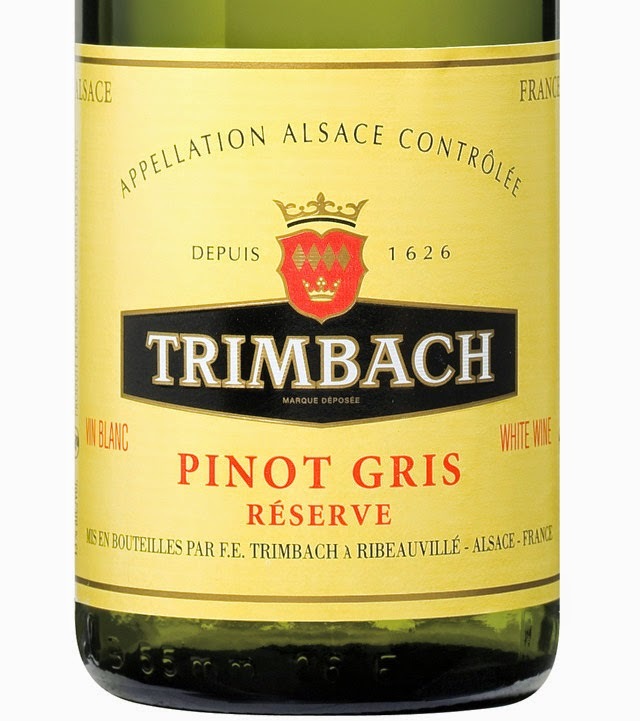 The Pinot Gris of Alsace, however, makes a more serious wine, with medium to high alcohol and low to medium acidity. The wines are typically dry (excepting, of course the late-harvested and botrytis-affected wines) but discovering some residual sugar is not at all uncommon. Just as its heritage might indicate, Pinot Gris is similar to Pinot Noir, in that the terroir has relevance to the final product. There are two dominant styles of wine produced from the grape—one deeply colored and full of body, and one much paler, lighter, and higher in acid. Italian growers typically harvest when their Pinot Grigio is less mature physiologically, before sugar levels get too high and acids get too low. In Alsace, the grape is left on the vine longer, not only to increase sugar and reduce acidity, but to allow for the development of flavors in the grape. Yields, as well, are typically higher in Italy than in Alsace. Pinot Gris is a versatile grape, capable of making high-quality white wines of varying sweetness levels, of contributing to sparkling wines in some regions, and even of withstanding and improving under the influence of barrel maturation and time. But, the dominant approach to Pinot Gris is to ferment the juice in inert vessels like stainless steel after a careful pressing that is designed to minimize contact between the juice and the skins. Cool fermentation follows, and bottling is done soon after fermentation to preserve the fresh aromas of the wine. Some producers have strayed from the “standard recipe” to achieve greater complexity, deeper color, and greater potential for ageing. Brief skin contact during pressing can give the wine a deeper color—anywhere from a brassy yellow to a salmon pink. Even barrel fermentation or maturation is being explored, adding aromas we associate with oak and controlled oxidation. Based on the vineyard methods and winery practices, the aroma of Pinot Gris will vary. Paler and lighter-bodied examples of the wine often display subtle apple or pear aromas while darker, fuller-bodied examples have a much more complex set of aromas including apricot, peach, musk, and honeysuckle. Outside of France, Italy and Germany, Pinot Gris has met with mixed results, and though there are plantings in most countries, it is Oregon and California that have had some success. In Oregon the wines are medium bodied with a yellow to copper-pink color and aromas of pear, apple, and/or melon. 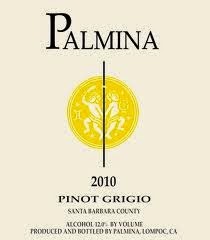 In California, the Pinot Gris is more light-bodied, with a crisp, refreshing taste and some pepper and arugula notes. 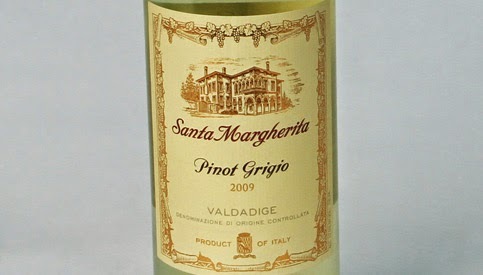 Pinot Grigio is considered an "early to market wine" that can be bottled and out on the market within 4–12 weeks after fermentation. If you like Pinot Grigio, then you might also like Albariño, Silvaner, or Chenin Blanc. What to do with a Jeraboam? I received the e-mail....we have a large format bottle of wine from Italy, we are thinking about getting a group of people together to finish it off. How about a pizza party? Well, I'm game for anything that involves food and wine. 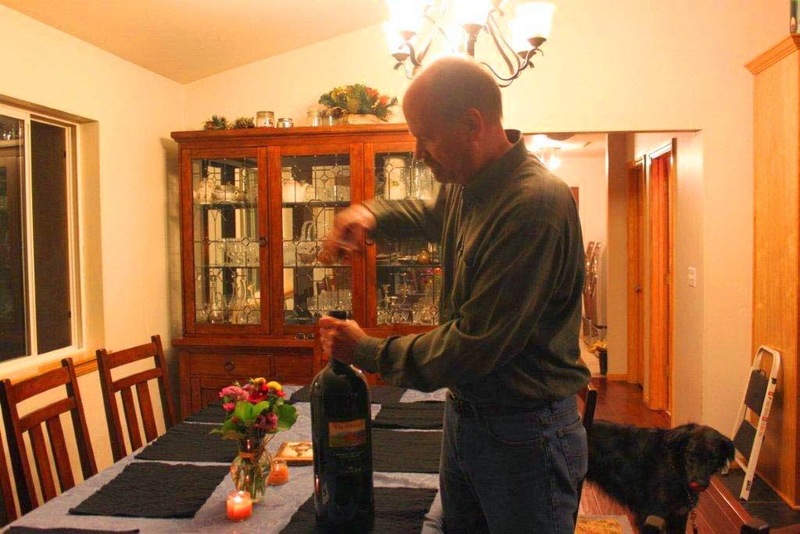 But, how big is that bottle of wine? My friends said that it was a five-liter bottle. If you read my blog about wine bottles, you'll note that there is no name (officially) for a five-liter bottle. A 4.5 liter bottle is known as a "jeraboam" and a 6 liter bottle is known as a "rehoboam". So, what is a 5-liter bottle called? In this case, it is a jeraboam. In the United States, they have dictated that bottle sizes be rounded up. So, no half liter versions. A 5-liter bottle is equivalent to 6 2/3 bottles of wine, meaning, you can serve a good sized group of people and only open one bottle. In this case, we had five couples (and we still opened some more standard bottles before and after). This large format bottle was purchased (of all places) at Costco, for an amazing price. 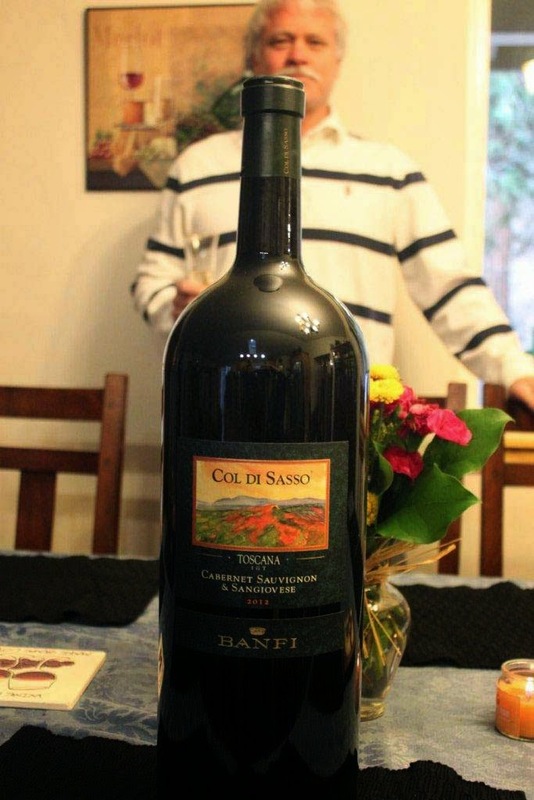 It was a Banfi Col di Sasso 2012 Cabernet Sauvignon/Sangiovese from Tuscany (basically a "Super Tuscan"). 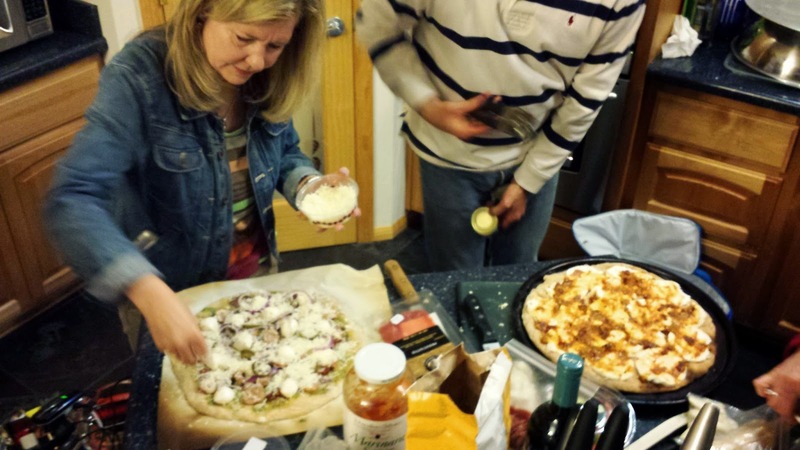 To pair with the wine, each of the couples was to bring their favorite pizza toppings. 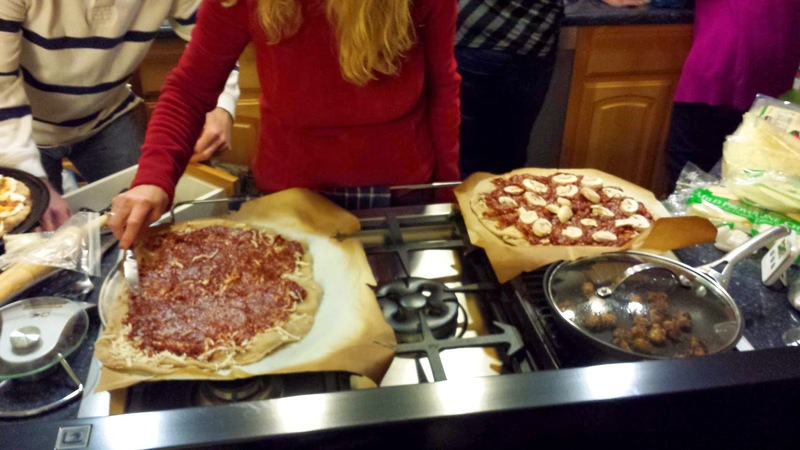 Our hosts made fresh pizza dough, and had the ovens warmed with the pizza stones inside. I supplied the homemade pizza sauce and cheeses, and the toppings ranged from the standard pepperoni, sausage, and mushrooms, to Spam, anchovies, sundried tomatoes and Italian salami. Even pesto sauce was on the menu. As we prepared the toppings and dough, the group finished off a bottle of Cremant from Burgundy, as well as a bottle of Prosecco (in keeping with the Italian theme). 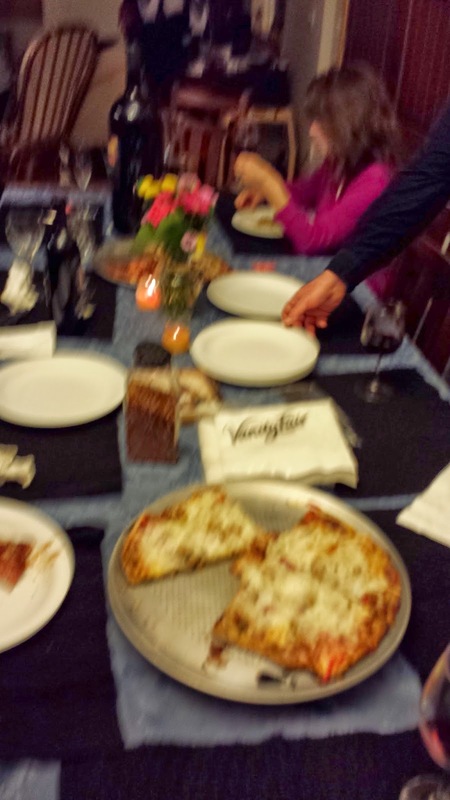 Each of us made our favorite style of pizza, and presented them on the table for all to try. There was plenty to go around! The Col di Sasso was a perfect pairing for pizza. Normally, I would expect the tannins to be a bit harsh on this young of a vintage, but they were very reserved. The dark red color of the wine matched the fruity aromas of cherry and red plum, with only a slight hint of smokiness. The acidity worked perfectly with the acid in the tomato sauce, and paired particularly well with the salami and pepperoni. The finish was moderate in length, and pleasant. Overall, at only $45 dollars, for this large format bottle, this was a deal! After the bottle was empty, we moved on to some heavier wine: Earthquake Petit Sirah, and some cheesecake topped with blackberries. 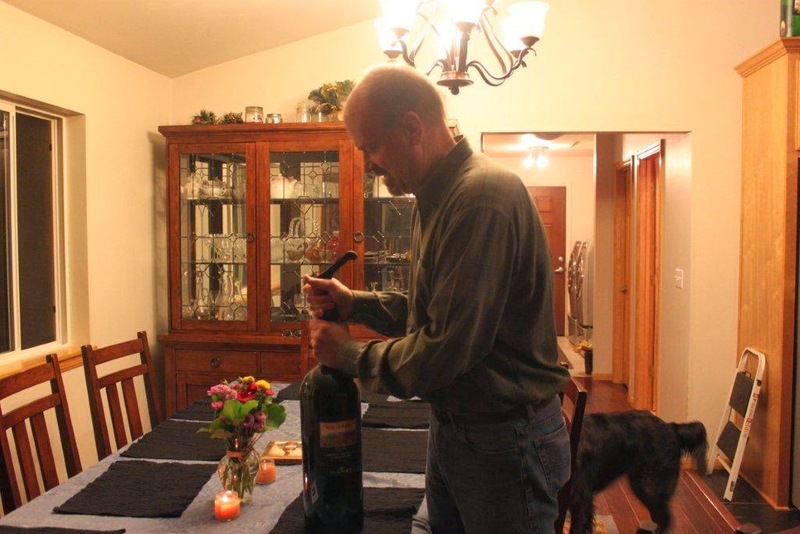 Large format wines are a fun way to spend time with friends, and create ideas for a party. A homemade pizza party was just the ticket, on this evening.